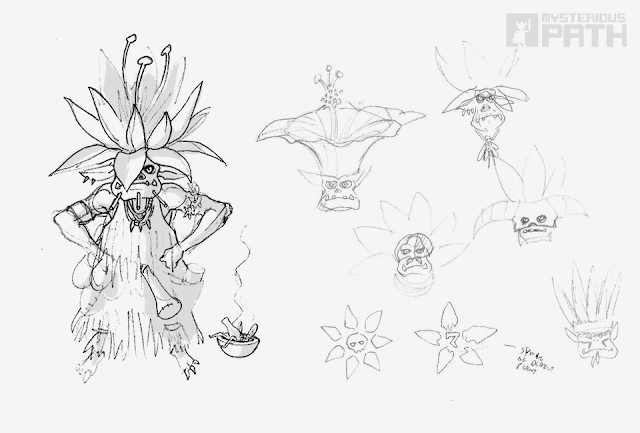 The Forbidden Forest is home to the infamous Death Blossom Clan. 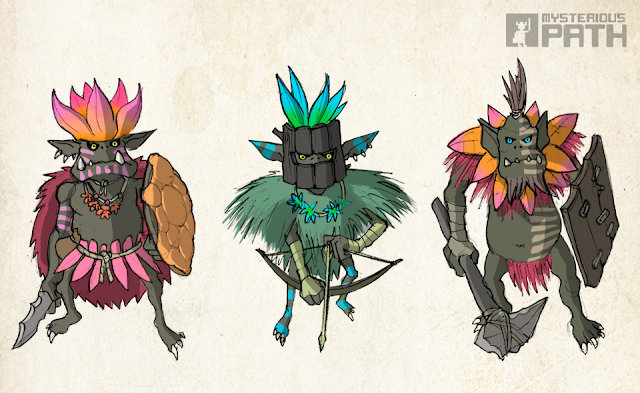 Only the most hardy goblinoid specimens can survive in the forest's treacherous environment. This process of natural selection insures that clan members are some of the most resilient and resourceful goblins found anywhere on the planet. Routine hazards for forest dwellers include giant predatory insectoids, hallucinogenic spores, poison dart faeries and carnivorous mushrooms. To exist in this unforgiving habitat clan members have become highly skilled in tracking, hunting, toxicology and advanced flower arranging. Any individual clan member would be regarded as a formidable foe, but one among them is revered above all others. They are the one known as the "Chief Florist" (a loose translation of the clan's unusual gobbledygook dialect). The florist is a master of the dark art of aromatherapy, and best avoided at all costs.